Pompeo Faces Tough Grilling by Senate - Integration Through Media ....! 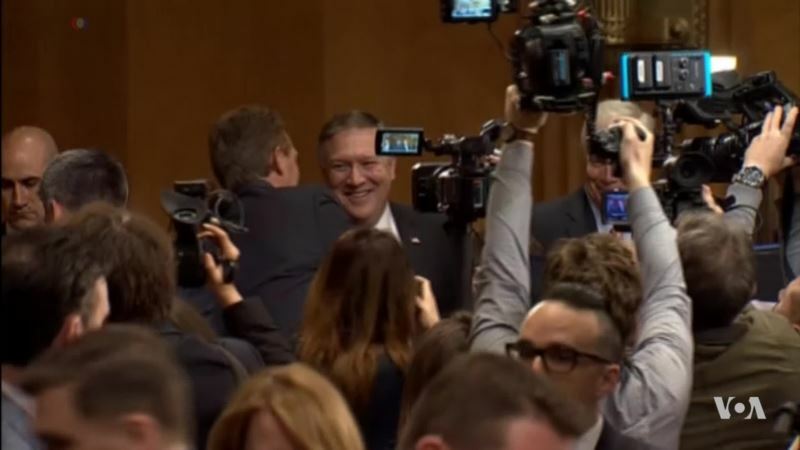 (VOA): President Donald Trump's pick to be the next Secretary of State, Mike Pompeo, faced tough questions at his Senate confirmation hearing Thursday, with senators drilling him on his views on potential U.S. military strikes on Syria, Russia, the Iran nuclear deal, and North Korea. A number of senators mentioned Pompeo's close relationship with the president, as both an asset and a liability. VOA's Diplomatic Correspondent Cindy Saine has more from the State Department.